Andy Griffith's Home Place was once Andy's boyhood home, and is now a Bed and Breakfast, right in the heart of town. 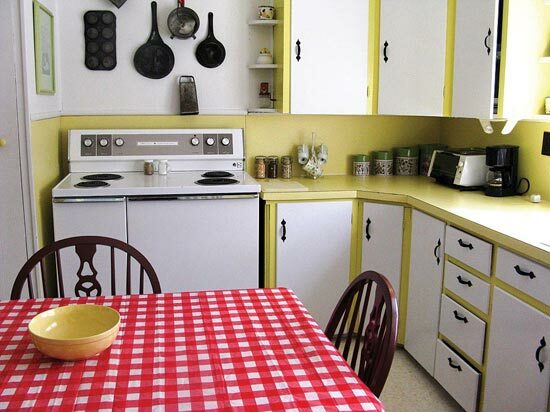 Its 1930s - 1940s decor features antiques as well as Andy Griffith memorabilia. 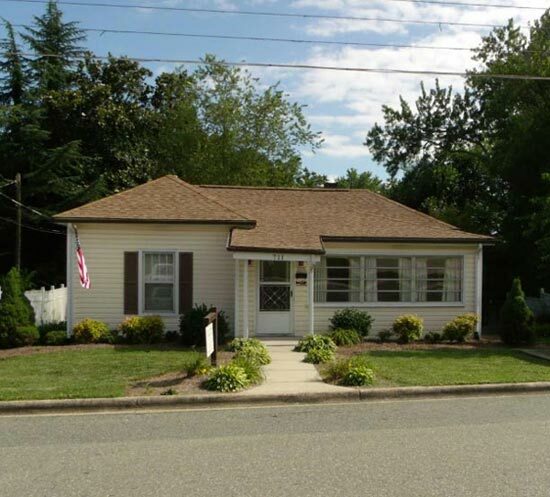 Andy Griffith was about nine years old when his parents bought this home in 1935 for $600. 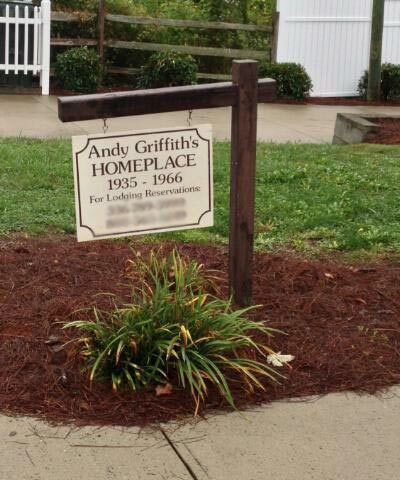 The family sold the house in 1966 for $6,000, about six years after the Andy Griffith Show debuted in 1960. Gary York bought the house in 1998 at an auction for $86,000 and later sold the house to the owners of the Mount Airy Hampton Inn for an undisclosed amount, and they started renting it by the night to fans and whoever wanted to get a feel for what it was like for Andy to grow up in the house. Furnished with all the comforts of home, it has two bedrooms, kitchen, living room and one bath. The house contains antiques and is decorated 1930s-1940s style. Griffith memorabilia and stories can also be found at every turn.